How Does a Duck Fly? [Online image] Available http://en.wikipedia.org/wiki/File:Bucephala-albeola-010.jpg, 16 Jan. 2009. Watching a bottom-heavy duck paddle loopily about a marsh or pond, or waddle along the water’s edge, it’s easy to forget just how fast and bullet-like they are on the wing – and just how far many of them migrate twice a year. Ducks can fly explosively when flushed by a stooping eagle or some other threat. They can also cover impressive mileage in a day of high-altitude migration, especially with a healthy tailwind on their side. Specialized avian anatomy and fundamental aerodynamics come into play to get a duck airborne (and keep it there). Like other birds, ducks boast a lightweight skeleton that nonetheless comes sturdily reinforced for enduring the significant physical stresses flying imposes. Skeletal adaptations for flight include hollow long bones in the wing, a breastbone keel for anchoring flight muscles and fused “wrist” and “hand” bones for a more rigid wing structure. The major flight muscles include the pectoralis, which enables the downward “power” wingstroke, and the supracoracoideus, which pulls the wing up in a “recovery” stroke. A duck’s stiff flight feathers include the outer "primaries" and the inner "secondaries." The vanes of the primary feathers have a narrow leading edge to cut the air; they’re also tightly interlocked with hooked "barbules_. "_ Softer overlapping feathers called "coverts" overlie the bases of the primaries and secondaries, ensuring the wings form a solid, smooth layer. To fly, a duck must generate lift to compensate for the pull of gravity, and also thrust to move forward against friction’s slowing drag. The modified limb bones, muscles, coverts and flight feathers of a duck’s wing all serve to construct an “airfoil,” a curved and tapered structure over and under which air flows. Higher airspeed over the wing creates lower pressure there than along the underside, which produces an upward force. The shape of the wing also deflects air downward, which – by Newton’s third law of motion – means there must be an equal force produced in the opposite, or upward, direction. These upward forces both produce the lift required to overcome gravity. A duck’s primary flight feathers generate forward thrust, while the secondaries enhance lift. By dipping the trailing edges of its wings downward, a duck increases drag and diminishes lift, a mechanism of controlled stalling that allows it to slow down and land. Ducks in general have the curved, pointed wings of a fast-flying bird, but the shape and relative size of the wings vary between the two major duck divisions: dabbling ducks – also called “puddle ducks” – and diving ducks. 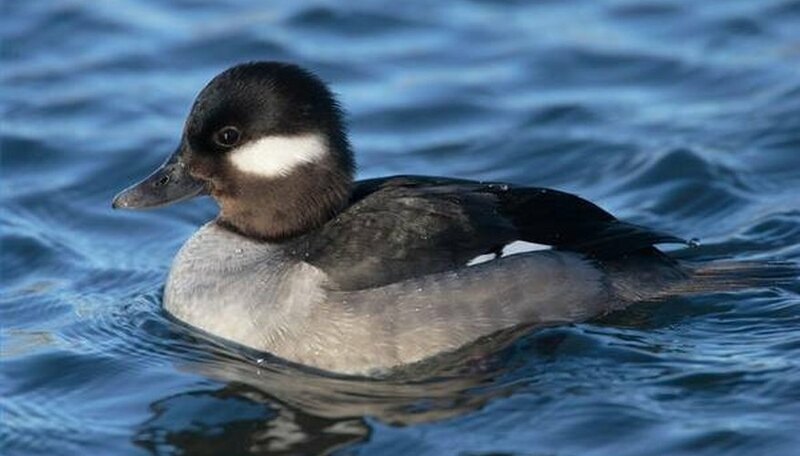 Dabblers get their name from their habit of feeding with their bills skimming underwater, or by tipping themselves forward and paddling along with hoisted rear ends. Divers, by contrast, often feed fully submerged. 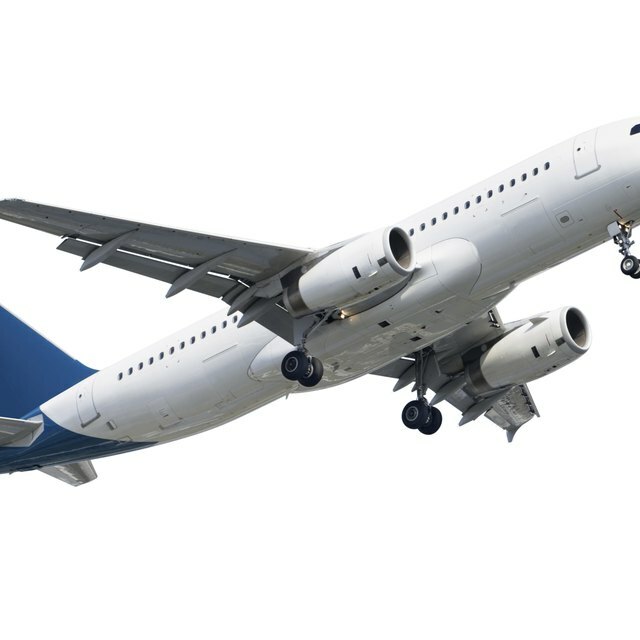 “Wing loading” is the ratio of a bird’s wing area to its body mass. Dabblers have proportionately larger wings in relation to their size and thus lower wing loading than divers, which means they can launch directly into flight. With their higher wind loading, diving ducks must typically run along the surface of the water with rapid wingbeats before attaining the speed necessary to produce lift and become airborne. They also must generally flap their wings more rapidly than dabbling ducks to stay aloft. Another wing characteristic with ramifications for flight is aspect ratio: wing length divided by wing width. Dabblers have a lower aspect ratio than divers, which gives them greater maneuverability. This is a good trait for the shallow-water environments they frequent, allowing them to navigate through tunnels of high sedges and cattails in marshes or through the trees of swamps and bottomland forests. The higher wing aspect ratio of divers makes them less maneuverable but faster-flying, which serves them well in the more open, deepwater habitats they favor, such as lakes, bays and coastal seas. Though divers and dabblers show some key differences, ducks in general are designed for swift, flapping flight. Their sharp-pointed, back-swept wings are ideal for long-distance migration, something many species that breed at higher latitudes engage in. Migrating ducks commonly fly in a "V" formation for maximum efficiency. A flying bird’s wingtips create vortices that push air downward behind the bird (in downwash) and upward off to the sides (in upwash). A duck behind and to the side of another can take advantage of that upwash and its reduction of drag to fly with less effort: hence the "V" configuration. There are, of course, birds that don’t fly, and that number includes a few species of ducks, such as most of the steamer ducks of South America. But many other ducks experience a temporary period as a flightless bird during the nesting season, when they molt: dropping old wing feathers and replacing them with new ones ahead of the fall migration. Shaw, Ethan. "How Does a Duck Fly?" Sciencing, https://sciencing.com/a-duck-fly-4741001.html. 15 August 2018.